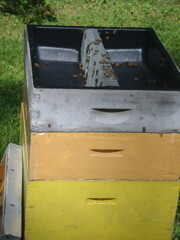 Ray is adding 50 new queen-mating colonies to his operation to be better prepared for the high-demand season. He is purchasing equipment and supplemental food stores to successfully rear queens from April to October. His goal is to sell at least 500 quality Russian queens each year, tripling current production. Russian queens sell at a premium price because they perform so well and have proven resistance to pests and disease. Ray is one of the seven certified Russian breeder operations in the world. He partners closely with the USDA Agriculture Research Service Bee Lab in Baton Rouge, and is in charge of maintaining two of the 17 queen genetic lines the Bee Lab has developed. A key part of his project is evaluation of the stock, as requirements for maintaining them are very stringent. He evaluates characteristics such as stock purity, honey production, and pest and disease resistance. 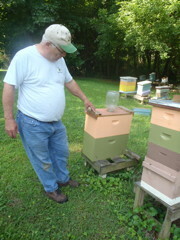 Ray participates in festivals, has numerous speaking engagements and hosts field days and one-on-one bee yard training. 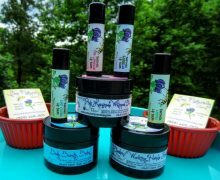 He started his business in 2001.